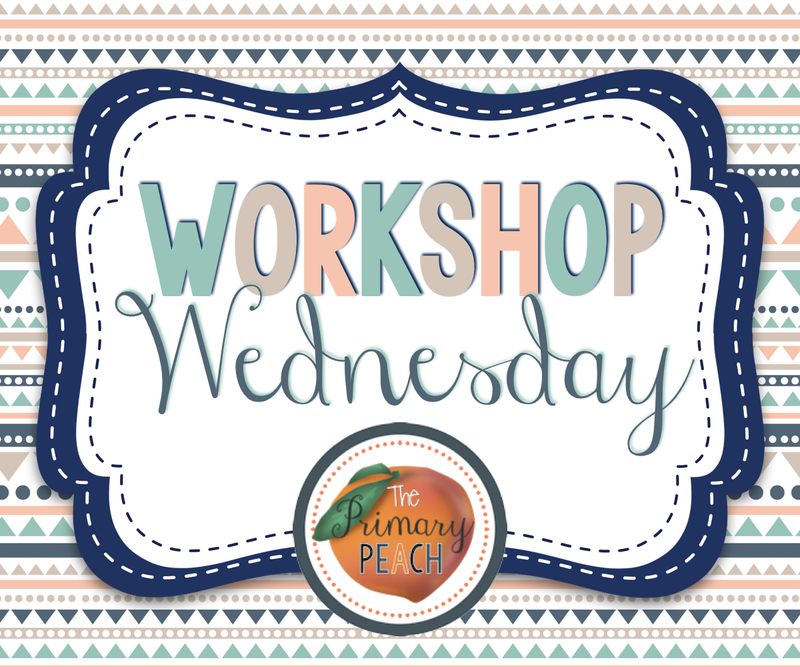 I thought it would be VERY appropriate to post for Workshop Wednesday because, way back in the day (okay, last year...) I was the original Workshop Wednesday Girl! Check out some old posts here if you are interested! 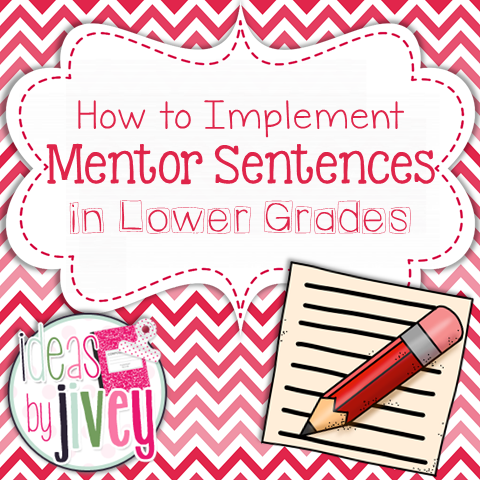 Today, I am going to share with you what I have found to be the BEST way to teach grammar and writing... and I'm going to focus on lower grades (1st and 2nd grades). Make sure to hang in til the end of the post to grab a freebie and find out about an exciting opportunity! If you are interested in upper grades, there's plenty of info you can read here! 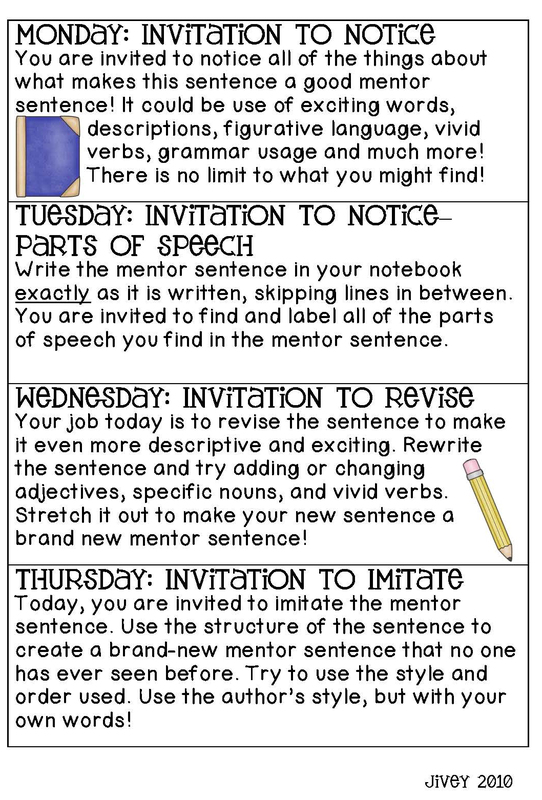 Mentor Sentences are THE BEST way I've found to teach grammar and writing. The idea is: students are exposed students to well-written sentences from quality texts that will help them become better writers and have a greater understanding of how the parts of speech work together. 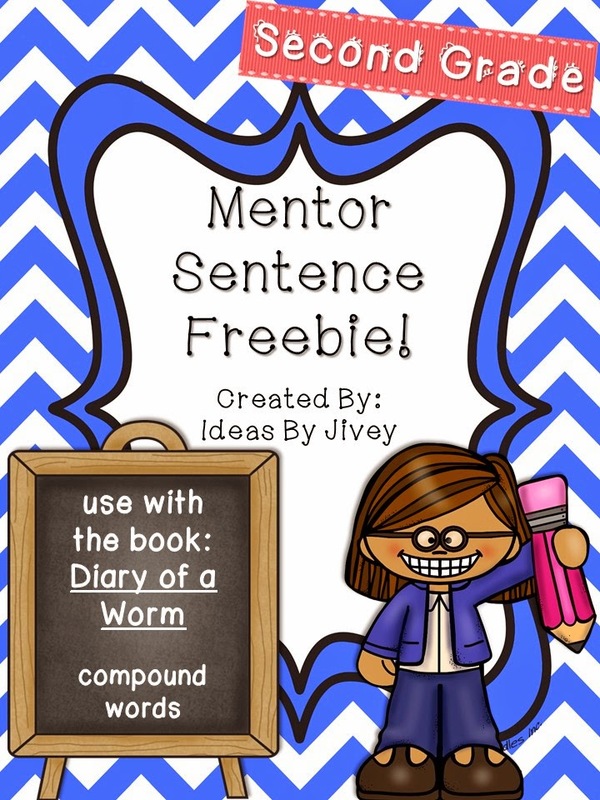 First and second graders can absolutely benefit from mentor sentences, just as the kiddos in upper grades can! It might take a little longer for students to understand the routine than upper grade students, but just like with anything else, consistency is key! Depending on your students, you might do all of this together just on chart paper, or you might have the students copy/write in a notebook, too. The things we hope for students to notice during Monday's "Invitation to Notice" in the lower grades are going to be different than upper grades- they are going to be more basic. This sentence includes proper nouns, which will be the focus of the week's lessons, so it will be important to talk about why there are capital letters at the start of names. Having a discussion about just the proper and common nouns in the sentence would be a great lead to a lesson where they find their own proper and common nouns in their books! You could even have them write those nouns on sticky notes and put them onto your t-chart you've created! 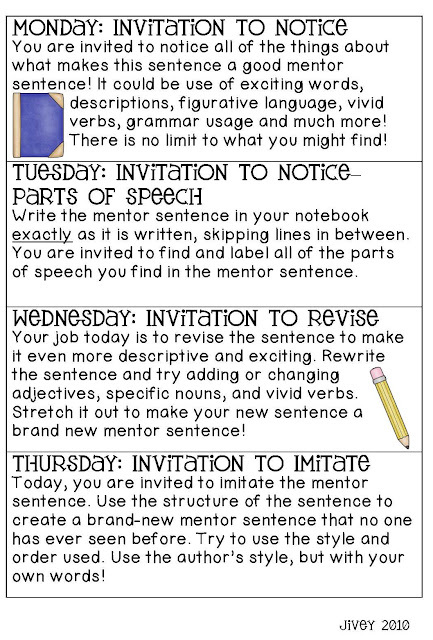 On Wednesday, for "Invitation to Revise" it would be a good idea to help guide the students in how to revise a sentence. One of the skills required by common core is to expand simple and compound sentences. One way to do this is to add adjectives before nouns. 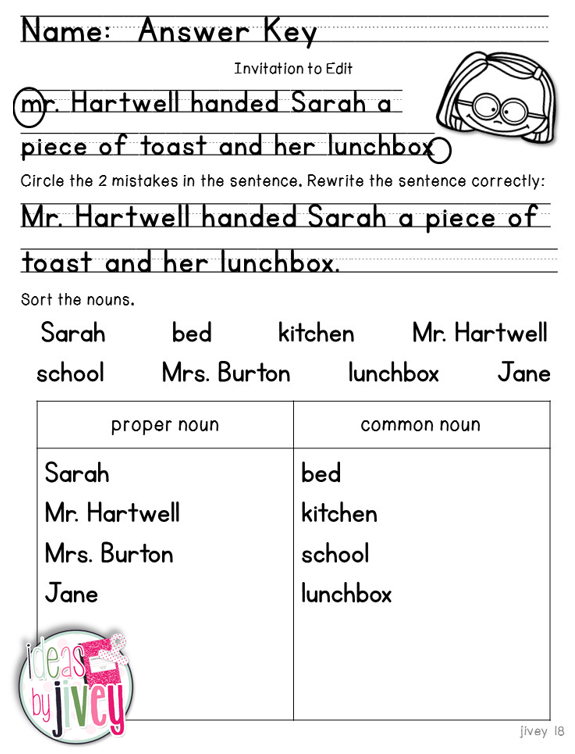 Giving them the sentence with blanks in front of the nouns so that students can brainstorm and help you revise the sentence first is a great way to get them thinking before they try to revise the sentence on their own. I like to keep all of my weekly invitations up each day so the students can be reminded of the focus and see our progress. Also, because the week's focus is proper nouns, I would point them out when I see them in reading, as well as do some short lessons on proper nouns throughout the week during writing/grammar time. And if you want to hear all about it IN PERSON, I am delivering professional development workshops this summer that you can attend! They are at Gwinnett Technical College in Lawrenceville, Georgia, so I know that might not be ideal for some of you... but I know there are some Georgia Peaches that read the Primary Peach so I wanted to make sure to share with you! If you'd like to find out more information, click here!